For more information on our range of fragrances and gifts, please get in contact with us. 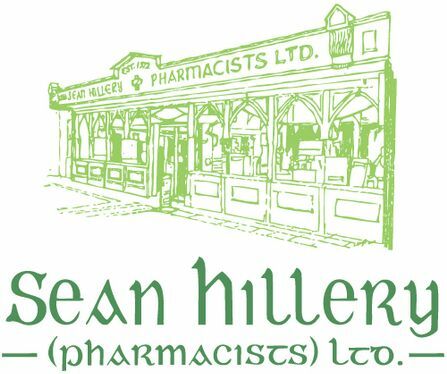 Seán Hillery Pharmacists Ltd. stocks an extensive range of gifts and fragrances for men and women, with options suitable for all types of occasions. Our helpful in-store team are always on hand to help you choose the perfect gift and we have regular special offers available for thrifty shoppers. All of our fragrance and gift products are available at an affordable price and we offer in-store testing of most fragrances so you are guaranteed to select the right product. Our gift and fragrance selections are regularly updated to ensure we have all of the latest products. Seasonal gifts also available; Christmas, Valentine’s Day, Mother’s Day, Father’s Day, etc. Selecting the right gift for someone can be a difficult process, which is why our dedicated in-store team are here to help. If you are having difficulty choosing the right gift for someone, get in contact with us or visit us in-store at 32/33 Skycourt Shopping Centre and we will help make sure you leave with the ideal gift for that special someone. Whatever the occasion – birthday, anniversary, etc., you will find the ideal gift here at Seán Hillery Pharmacists Ltd.
For more information on our range of fragrances and gifts, contact us today.